The following is in alphabetical order. Our mission is to meet the home healthcare needs of our patients and families by providing exemplary service to our customers with the highest quality medical equipment from a well trained and courteous staff. Your single source of quality, new and pre-owned medical equipment. 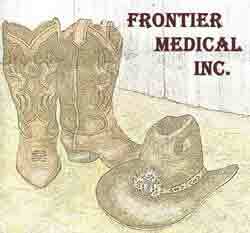 Frontier Medical, Inc.